At least 15 people have been killed and at least five injured in a stampede in Morocco while food aid was being handed out. 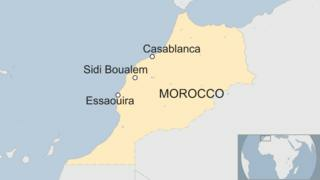 The incident happened in the village of Sidi Boualem, about 150km (90 miles) south-west of Casablanca. It is not yet clear who was distributing the aid but it is reported to have been donated by a charity. Some reports indicate that up to 40 people may have been injured in the crush. Local media reported that most of the victims were women and elderly people. Pictures on social media showed bodies of women laid out on the ground.